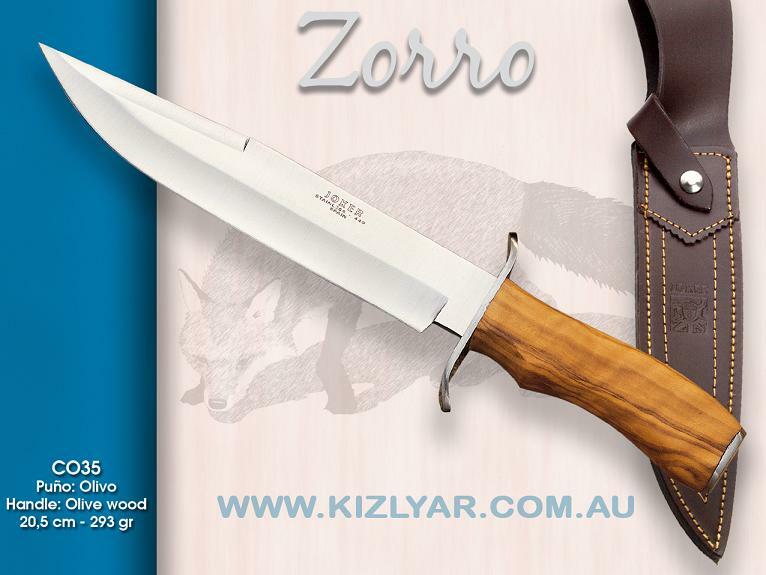 The Zorro is a Medium size, light Spanish style bowie knife, ideal for hunting and outdoor tasks due to its long cutting edge and its clip point blade. 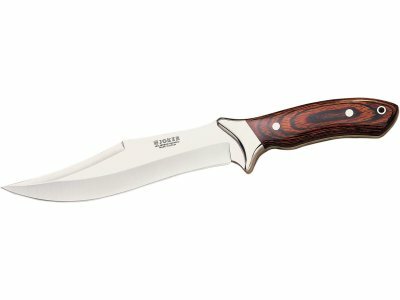 The knife features olive wood handle, which gives the knife a very nice warm feel and the handle is formed for extra grip. 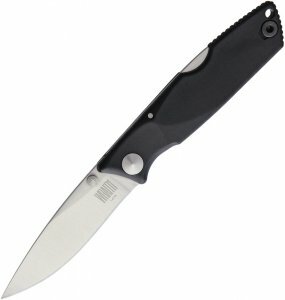 The under & over guard design ensures that your hand will not slip forward during use and that the knife can easily be used as a pig sticker.